Onyx Collective are breaking all the rules and building a community on the Lower East Side. I profiled them for the New York Times. 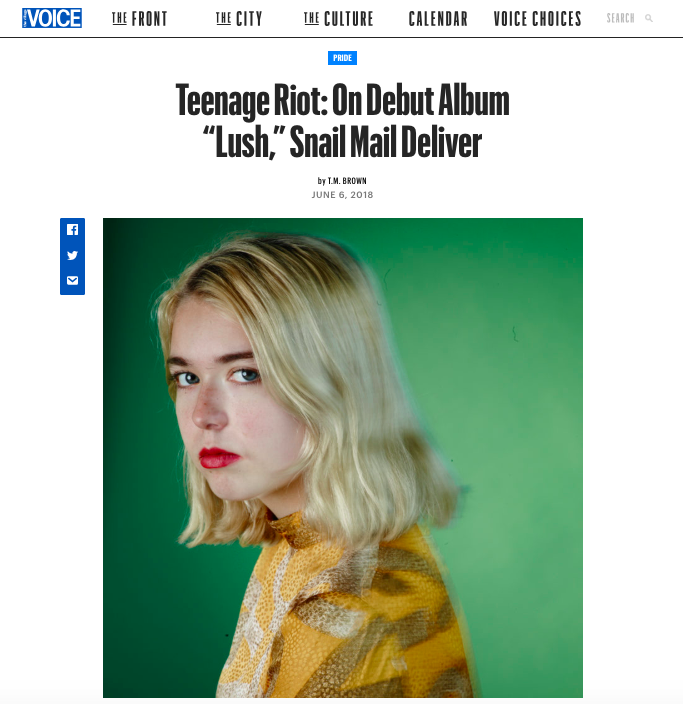 The latest installment of my column at the Village Voice where I got to talk to Lindsey Jordan of Snail Mail about feminism and teen angst. For Deadspin, I dove into the funding mechanisms behind the new Las Vegas NFL stadium and discovered one of the worst public financing deals in American history. I looked into how Instagram is changing the way we eat for Fast Company. Berlin has been gentrifying and changing for the last decade, but during my 14 months there I saw the rise of the techno tourist. I wrote about it for Noisey.